28: How Should Freelance Travel Writers Be Using Social Media? 27: Is There A Single Element For Predicting Travel Writing Success? 20: Your Pre-Travel Planning Should Include This…. 10: Can Joining a Travel Writer’s Organization Help? 20: Are Internships Worth Pursuing? 20: Travel Writing: Are You Niche Enough? 11: Are Press Trips REALLY ‘Traveling’? 02: Are You Cut Out to Be a Travel Writer? 28: Can You Become a Travel Writer at Any Age? 03: Is It REALLY the Best Place on the Planet? 19: Q&A: What’s the Best Style of Travel Writing? 05: Going Someplace? Bring Money. 08: Are You Missing a Golden Opportunity? 04: Title? Check. First Sentence? Check. 02: What Makes You an Expert Anyway? 31: Q&A: Why Are My Article Pitches Getting Rejected? 22: Is Self-Publishing Your Book Right For You? 01: Who Ya Gonna Call? 25: Q&A: Why Am I Not Getting Invited on Press Trips? 11: Get Paid to Write! 22: Forget Budget Travel – Learn to Travel for Free! 02: Travel Writers, Are You Service Minded? 01: Know How To Do Something? Enter This Contest! 30: Are You Branding Yourself? 23: Are You Holding Yourself Back? 19: Travel Contest: The Blog Hop is On! 05: Exactly What IS an Ambidextrous Travel Writer? 10: Can a Blog Network Really Benefit You? 26: Why are you Blogging? 17: Travel Writing: See the World. Sell the Story. 03: What’s a Real Editor Going to Do For My Manuscript? 29: Suzy: The Finale – Suzy Speaks! 28: Do You Write What You Mean? 23: What If Wikipedia Weren’t There? 22: Do You Really Need That Model Release? 21: How Can Travel Bloggers Inspire Travel? 07: Are You As Organized as You Can Be? 25: Doing Interviews? You Should Be! 19: Guidebooks: Is Self-Publishing For You? 31: So You Want to Write an eBook? 24: Should You Watch Confessions of a Travel Writer? 19: Travel Writers Exchange Scavenger Hunt Winner! 07: Need Readers for your Travel Blog? Be a Guest Author! 28: WIN a Flip Ultra in our first Scavenger Hunt! 24: Do You Know How To Query? 03: Who Needs a Custom 404 Page? You Do! 10: Do You DIGG Your Travel Articles? 05: What Exactly IS Travel Writing? 20: Need Help While Traveling? There’s An App For That…. 13: How Hooked-Up Are You When You Travel? 04: Self Awareness – Can It Help Your Travel Writing? 27: Are You a Perpetual Traveler or World Citizen? 20: Have You Been Grounded? 08: Is a Travel Writer Influenced by Hollywood? 04: Are You a Member of the IFWTWA? 25: Are You Letting Travel Writing Opportunities Skip Town? 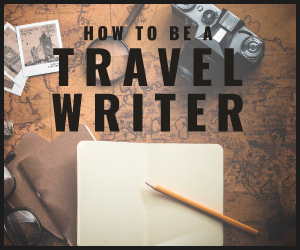 29: Is Talent the Key to Successful Travel Writing? 22: Travel Writers, How Will You Support Your Dream? 19: How Do Organizations Find Freelance Travel Writers? 20: Who Else Wants to be the Warren Buffet of Travel Writing? 30: Make Travel Writing Work for You. Here’s How. 14: Help Wanted! Have You Been Disappointed by Travel Writing Opportunities? 09: Many People Have Travel Writing Careers And You Can Too! 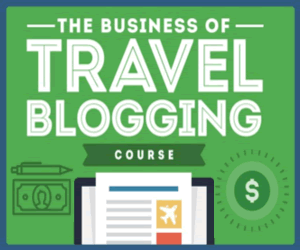 27: It Pays to Blog About Travel! 25: Open Up the Doors to Travel Writing Through Volunteering! 16: Exclusive! Inside Secrets to Publishing from Editors and Publishers! 13: Need a Travel Writing Makeover? 11: The One Sensible Way to FREE Travel and Travel Writing! 04: Traveling is a Journey, How Will Your Words Describe Yours? 26: Travel Writers! Take Advantage of Trading Places! 21: Who Else Wants to Break Into Travel Writing? 13: Win A Free Vacation! 01: How to Get Started With Travel Writing!